Until I sat in that courtroom yesterday, I wasn’t sure why the Obama legal team had chosen not to appear. But in hindsight, they were right. Showing up to refute the nonsense presented would have given the birther arguments a dignity they do not deserve. You cannot refute air and sheer fantasy. How many times can an opposing lawyer say, in so many words, “Your honor, this is just really and truly stupid”? Rather than blaming the judge or Secretary Kemp for yesterday’s circus, Bookman puts the blame on the “foolish conspiracy mongers, ” and concludes that Obama will unquestionably be on the November ballot in Georgia. 57 Responses to Did Jablonski do the right thing? I wouldn’t be quite as lenient with Malihi and Kemp as Bookman is, Georgia law may require that a hearing be held. I doubt, however, that it requires a circus be held. I doubt that the law really envisages a hailstorm of invalid subpoenas nor the testimony of a train of witnesses with nothing to say of any relevance to the question at hand. A properly run hearing would not have allowed testimony regarding SSNs nor the analysis of a pdf of a document that is entitled to full faith and credit. Frankly, the only relevant testimony from the plaintiffs was that which established them as Georgia voters. After that, the floor should have been opened to the defense to present the COLB/long form at which point Orly should have been allowed to cast doubt on the actual paper document if she had any evidence (of course she doesn’t). Then some argument on the Vattel crap might have been allowed, though frankly that is outside the ALJ’s bailiwick. Had such a hearing been in the cards, then I suspect Jablonski would have attended and furnished a paper birth certificate with the appropriate seals and letters from Hawaii. In that case, had he declined to attend, he would have deserved to be criticized. But he is to be applauded for not attending the debased hearing that the State of Georgia allowed, to its great discredit. Letters of Rogatory have been denied. Thanks. Mind if I use it? Of course I’m sure I could go right ahead if I wanted, but I thought I’d ask since you brought it. I agree with you on this. I share that opinion. Along with you, I simply argue that the same legal goal and hearing could have been accomplished in a more controlled and orderly matter, without it devolving to the over-hyped side show it became. Scientist: I wouldn’t be quite as lenient with Malihi and Kemp as Bookman is, Georgia law may require that a hearing be held. I doubt, however, that it requires a circus be held. I doubt that the law really envisages a hailstorm of invalid subpoenas nor the testimony of a train of witnesses with nothing to say of any relevance to the question at hand. A properly run hearing would not have allowed testimony regarding SSNs nor the analysis of a pdf of a document that is entitled to full faith and credit. Frankly, the only relevant testimony from the plaintiffs was that which established them as Georgia voters. After that, the floor should have been opened to the defense to present the COLB/long form at which point Orly should have been allowed to cast doubt on the actual paper document if she had any evidence (of course she doesn’t). Then some argument on the Vattel crap might have been allowed, though frankly that is outside the ALJ’s bailiwick. Had such a hearing been in the cards, then I suspect Jablonski would have attended and furnished a paper birth certificate with the appropriate seals and letters from Hawaii. In that case, had he declined to attend, he would have deserved to be criticized. But he is to be applauded for not attending the debased hearing that the State of Georgia allowed, to its great discredit. Jablonski can still file a brief in the case, and I think he should. Why? Well on the principle of doing everything possible to set this win the case. There are only two issues in the case, Obama’s place of birth and whether every US citizen who was born in the USA is a Natural Born Citizen. 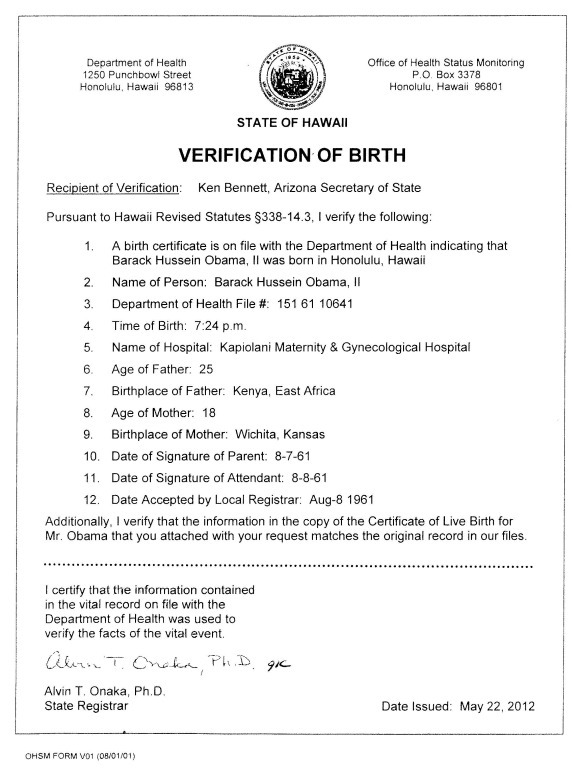 As to the first, Obama’s birth in Hawaii has been proven overwhelmingly, but if you your honor do not think that it has been proven to you, I would be glad to show you the official paper copies of the official birth certificate of Hawaii, with the state seal on the back. As to the allegation that two citizen parents are required, that has never been the law. The words in the Minor Vs Happersett case are merely dicta, and–as you know–the Wong Kim Ark case stated very strongly that every child born in the USA is Natural Born (except for the children of foreign diplomats). What is a Natural Born Citizen? Simply a citizen who was Natural Born. 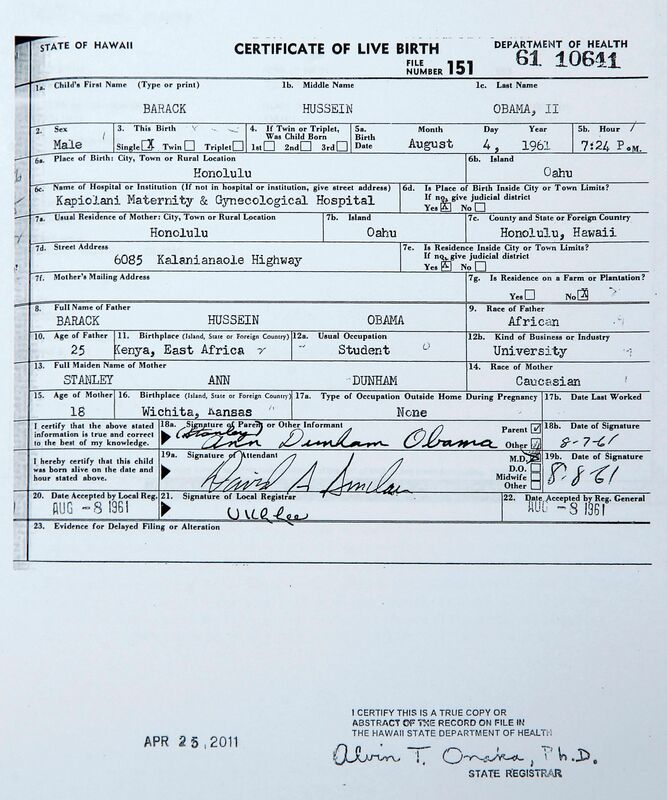 Obama was Natural Born due to his birth in Hawaii. Agreed. would add that I definitely think he should file that brief. It would be completely unwise to file nothing at all and give the other side any excuse to rule against sanity, simply for failing to participate. ellen: Jablonski can still file a brief in the case, and I think he should. Why? Well on the principle of doing everything possible to set this win the case.It seems to me that it should be very, very brief. 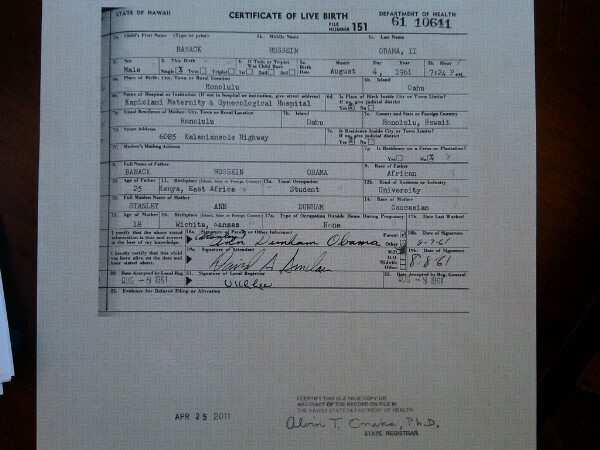 It should say:There are only two issues in the case, Obama’s place of birth and whether every US citizen who was born in the USA is a Natural Born Citizen.As to the first, Obama’s birth in Hawaii has been proven overwhelmingly, but if you your honor do not think that it has been proven to you, I would be glad to show you the official paper copies of the official birth certificate of Hawaii, with the state seal on the back.As to the allegation that two citizen parents are required, that has never been the law. The words in the Minor Vs Happersett case are merely dicta, and–as you know–the Wong Kim Ark case stated very strongly that every child born in the USA is Natural Born (except for the children of foreign diplomats). What is a Natural Born Citizen? Simply a citizen who was Natural Born. Obama was Natural Born due to his birth in Hawaii. The highly anticipated “decision” in Georgia is nothing more than the findings of Administrative Law Judge’s based on his determination of the competency of the evidence and credibility of the witnesses. In the Georgia’s circus yesterday, the birthers were crowing that they were able to get ON RECORD all their insane theories and “evidence” and that since this “evidence” was not challenged by the defendant who did not want to participate in this circus that the birthers believed that the ALJ MUST base his findings on this “evidence”. However, what the birthers failed to realize is the ALJ who is the “trier of fact” and it will be his determination as to whether or not this so-called “evidence” is relevant or competent. Since there was a conflict between the plaintiffs as to whether or not Obama was born in Hawaii the ALJ will weigh the credibility and competency of the conflicting claim. The fact that Orly stated that Obama was born in Indonesia which was the first time that any birther suggested that he was born in Indonesia will be weighed against the other plaintiff’s introduction into evidence Obama’s birth certificate that was posted on line. As set forth in the the 12th and 20th amendments to the Constitution on the United States of America, the only body with legal authority to determine if the president shall have qualified is the Congress of the United States, thus the state of Georgia has no jurisdiction to determine eligibility for the office. I get the impression that people criticizing Judge Malihi for allowing a circus in his courtroom are doing so in a vacuum of understanding the rules those hearing operate under. I confess I don’t know those rules either, but I do know that the rules banning irrelevant evidence that are in place for jury trials are generally absent when there is no jury. The idea being that judges are able identify evidence that shouldn’t be considered, and not consider it. Dave: I get the impression that people criticizing Judge Malihi for allowing a circus in his courtroom are doing so in a vacuum of understanding the rules those hearing operate under. I confess I don’t know those rules either, but I do know that the rules banning irrelevant evidence that are in place for jury trials are generally absent when there is no jury. The idea being that judges are able identify evidence that shouldn’t be considered, and not consider it. I think he’s getting a little bit of heat for denying the motion to quash. I know judges usually want good citations, but for something as serious as a subpoena on a sitting POTUS, you’d think he’d go out of his way to look things up himself. That is a fair assessment. I openly admit that I do not understand the rules or limits in play in this type of situation in GA. If it only seems like this could have been managed better, but the rules don’t afford for that, I have no problem conceding that POV. I have not seen a blog with so many armchair judges on board! I don’t know whether there is a rule in the administrative code banning irrelevant evidence, but surely he had discretion to simply stop Orly cold. For Pete’s sake he allowed her to take the stand and testify. That’s simply ridiculous and I refuse to believe he couldn’t have stopped that. How many recommendations would you like? G: Agreed. would add that I definitely think he should file that brief. I’m not so sure. If the judge and SoS are truly fair-minded, yes. But after yesterday, i have my doubts. If they are birthers (we know the Governor is) then it might be better to simply refuse to partcipate and then use it as political club to beat them up. Remember, even if they keep Obama off the primary ballot, he will be the nominee and will appear on the ballot for the general. There might be a lot of political mileage in looking like the victim of a kangaroo court. They can also press Mitt and Newt to take a position, which they definitely don;t want to do and which can hurt them either way. Jablonski knows these people and I trust him to decide based on that. I’ve been thinking about this overnight, and I’ve come to pretty much the same conclusion. What did Jablonski have to gain by showing up? What did he have to lose? Obama has filed a sworn candidates statement that he is eligible according to Georgia law. The complainants seek to impeach that sworn statement, and if they can do so, then and only then does Obama have anything to defend. This must be so, or every candidate for every office would be challenged every time. The complainant must have kind of case to base their complaint upon. Clearly, we know, and Jablonski knows, the complainants have nothing with which to impeach the sworn statement. 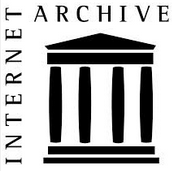 I suspect the pre-hearing submissions would have indicated that the Vattelists would submit the image of the birth certificate and stipulate that the information on it is correct and that Orly was going to be talking about irrelevant PDF layers instead of information and even more irrelevant Social Security Numbers. Jablonski literally had nothing to do. He could have cross-examined the witnesses, and probably gotten Susan Daniels to say she knew she was violating the law when she looked up the SSN. If any further clarifications needed to be made about information that came up in the hearing, he could do so in later briefs. So what did he have to lose? He would be giving up the dignity of the Office of the President and granting dignity to a particularly nasty, vile, political opponent. An narcissistic opponent that has no respect for the Office of the President or the Constitution and lives only for that recognition that they got the President into court. I think that Jablonski did the only reasonable thing he could do. Especially if the rumor that the SoS already has the actual BC and probably a copy of the LoC paper. And as to the so-called ‘default judgment’. I have to think that what the Judge was offering was an acknowledgment that Jablonski didn’t want to challenge the testimony of the witnesses, so the pre-hearing briefs could be accepted without the formality of the public hearing. Nothing to do with a final determination, everything to do with not wasting time and the dignity of the court. Excuse me, I’m an armchair paralegal. Get your derision correctly. On that, I completely disagree. While I can now see, in hindsight, why Jablonski had no need to attend the actual hearing “open mike” fiasco, I do not see the same logic in completely refusing to file a paper brief. To me, that seems only foolish and unwise. Here is a simple and straightforward normal way to take away any excuse by the judge to simply rule against the defense for the sake of them conceding the argument. Any tactic designed to just goad this to go on longer for political reasons is stupid and unnecessary brinksmanship IMHO. You’ve just added unnecessary fuel to the fire instead of being able to do the simple and quickest route of stamping the whole thing out in the first place. Giving the SoS any reason to justify an otherwise unjustifiable position is both dangerous and foolhearty. He should just provide the simple, basic evidence and response to make his case for his client’s eligibility to be on the ballot and leave it at that. Nothing the Birthers presented makes any case for denial from the ballot…unless there is absense of an argument made to keep him on at all. Why do something so stupid as to give them that small chance of technical victory in the first place? That would be a much worse PR move than simply keeping the SoS in a position where he has to make a sane ruling based on the evidence. It is much wiser and smarter to have the Birthers have to appeal and battle the SoS to try to continue their tilting at windmills fight than to change the status quo and invite an unnessary possibility of now having the GA Democrats fight an appeal against the SoS just to keep him on… No, trying to make a bigger fight over this by simply conceding ground is as dumb a stunt as I can imagine. Scientist: I’m not so sure. If the judge and SoS are truly fair-minded, yes. But after yesterday, i have my doubts. If they are birthers (we know the Governor is) then it might be better to simply refuse to partcipate and then use it as political club to beat them up.Remember, even if they keep Obama off the primary ballot, he will be the nominee and will appear on the ballot for the general. There might be a lot of political mileage in looking like the victim of a kangaroo court. They can also press Mitt and Newt to take a position, which they definitely don;t want to do and which can hurt them either way.Jablonski knows these people and I trust him to decide based on that. Orly on the stand playing the part of lawyer and witness was like a cartoon. Whether or not it was a conscious decision to avoid involvement in a spectacle, Jablonski should consider himself lucky for not being there. If he had gone, he would have had to raise an objection to every word uttered, every piece of evidence, every concept, every witness. It’s much cleaner this way. The burden to present evidence sufficient to overcome the presumption of eligibility represented by the affidavit of eligibility was on the challengers, and they presented nothing of any legal value. So even if the President presented nothing in response to nothing, his affidavit would remain unchallenged. I mean – I don’t know if there’s necessarily any kind of “default” where the plaintiffs can guarantee that “we win”. A defendant in a criminal trial can go into court without an attorney, just sit there without an opening or closing statement, not object to anything, and refuse to take the stand. About the only thing that would make that situation different is that a defendant in a criminal trial is compelled to be there. If the testimony is absolute rubbish and the judge or jury don’t believe the testimony, there’s no default just because a defendant didn’t feel like mounting a defense. That’s what I feel in this case. I’d be highly surprised if this judge is going to take all that craptastic witness testimony he heard and come to any conclusion other than they haven’t proved any case that Obama doesn’t meet Constitutional eligibility. Of course when he finally reaches this, they’ll say “someone got to the judge”. Dave: I do know that the rules banning irrelevant evidence that are in place for jury trials are generally absent when there is no jury. The idea being that judges are able identify evidence that shouldn’t be considered, and not consider it. This statement is not true. A court trial is still limited to evidence determined to be relevant & admissible, and the judge will rule on admissibility of anything offered that is subject to an objection. If the judge admits and relies on evidence that falls short of that standard, it can form the basis for reversal on appeal. The only difference is the judge will see everything submitted in the process of determining whether it is admissible, including inadmissible material that might be deemed prejudicial if presented to a jury. So evidence such as bloody crime scene photos might be accepted by a court because they are relevant, but excluded from a jury trial because their prejudicial impact is deemed to outweigh the degree of relevance. I would take the ALJ’s failure to exclude or comment on Orly Taitz’s submissions as a sign that he viewed her whole case as irrelevant, and he will probably rule accordingly. Great IANAL minds think alike! I reached similar conclusions and posted them …. somewhere … around here …. y_p_w: “someone got to the judge”. Absolutely it will! Since the birtherisms were presented in a vacuum, unopposed, then they must stand on their own. Or they’ll fail on their own! There are no excuses, no options but to either admit error, or doubledown into deeper conspiracy. My first objection to this crap, way back when, was that if these arguments had any merit, then they should be able to convince on their own, without the assistance of pre-existing bias or high-pressure salesmanship. If these arguments are powerful, just, and based in truth, then where are the pro-Obama birthers? Genuine ones, not concern trolls. Birthers are so biased and inept, they couldn’t even fake the part! And let the debunkers say, “Amen”. Initially, I thought that Jablonski’s no-show was a massive mistake. I have changed my mind. There is debate as to whether or not Obama was given the burden of proof at yesterday’s hearing. At TFB, several lawyers make a good argument that Obama didn’t have the burden of proof. Obama did provide proof (his COLB) to the GA SoS (the person with actual power in this situation), so proof has been given. Without the burden of proof in the hearing, why show up? In April, Obama said he was done with the BS. Why should Obama acknowledge carnival barkers after telling the entire nation that he was done with birfer carnivals? Obama stated very clearly that he had produced more than could possibly be required of him. Acknowledging this carnival could have given the impression that he had not produced everything that the law required (and he has produced much more than was ever required of him) or that he should present even more than he has already. By not appearing, Obama made it very clear that he isn’t at the beck and call of the birfers. There will be more challenges. Drawing the line in the sand was a smart idea. The more Obama avoids the birfers the better. He has mocked them repeatedly since April. The moment he begins to treat them seriously is the moment Americans pay attention again. There is NO convincing birfers. There is no reason to take them seriously. None at all. Obama must treat this for what it is; a national joke. The true Believers will never, ever believe. They admit this; they blatantly state that if SCOTUS were to rule that Obama was a NBC, they would say that SCOTUS was wrong. Obama can’t convince the remaining True Believers that he is a legitimate POTUS. It would be insane for him to try. Besides, I and most of the country would rather Obama and his campaign worry about jobs rather than the birfers. Most Americans would be pissed if Obama gave the birfers a second of his time. 1) You’ve hit the nail on the head that this GA situation became so very different and unusual, specifically because there is a confusing debate on where their rules placed the burden of proof. I’m still unclear on that – which is where my concern cropped up on this one in the first place. If the GA rules did shift even partial burden of proof to the defense to demonstrate ballot eligibility…. well, if there is anyone who’s got some concrete clarity on that, I’d like to hear it. 2) I hear some folks talking about what you mentioned – the COLB being provided to the GA SoS… but I haven’t seen anything to CONFIRM that. Only speculation. …So I’m not convinced yet that actually happened either. Do you have anything that proves that took place? So, you’ve touched upon the two areas that really are the biggest gray areas in figuring out what is going on and where things will go from here. I hope there are some answers out there, but I haven’t seen any actual evidence for them yet. LMK: There is debate as to whether or not Obama was given the burden of proof at yesterday’s hearing. At TFB, several lawyers make a good argument that Obama didn’t have the burden of proof. Obama did provide proof (his COLB) to the GA SoS (the person with actual power in this situation), so proof has been given. Without the burden of proof in the hearing, why show up? G: I’m still unclear on that – which is where my concern cropped up on this one in the first place. If the GA rules did shift even partial burden of proof to the defense to demonstrate ballot eligibility…. well, if there is anyone who’s got some concrete clarity on that, I’d like to hear it. The typical electoral challenge in Georgia is over residency. Candidate A runs for school board in district 9, and someone else comes along (usually an opposing candidate) and claims that the candidate really doesn’t live in district 9, and they have a hearing over where Candidate A really live. For example, in a previous case that Malihi decided, there was a man who was separated from his wife, living in a house he had rented in the district where he wanted tor run for office, but his name was still on the house he had owned & shared with his wife. So there was a hearing where people like his landlady came to testify about when he signed the lease and where he lived. Georgia case law says that in those cases, the burden of proof is on the challenged candidate, because Georgia law requires the candidate to file an affidavit of eligibility in order to be on the ballot. The reasoning is that if you have to swear under penalty of perjury that you live somewhere, then you had better be prepared to prove it. However, there are two wrinkles in this case. One is that Georgia law does NOT require candidates to file an affidavit of anything to be on the presidential primary ballot — so the whole rationale about burden of proof falls away. Georgia law says that at a specified date, the executive board of each political party needs to provide the Secretary of State with a list of names to be on the ballot — and that’s it. No affidavits, no promises that the people are eligible, just a list. There is no question that Obama’s name was on such a list. The other wrinkle is that in 2008, some birther in Georgia who was ahead of the curve filed a lawsuit to keep Obama off the ballot and lost. The Georgia Superior Court held that the Secretary of State does not have power to exclude a Presidential candidate from the ballot, because the national parties get to select their candidate, and technically the voters are selecting electors (for the electoral college), and not really voting on a candidate. The case was appealed to the Georgia Supreme Court, which denied hearing — so that stands as Georgia case law. That rationale would apply to primaries as well, as in a primary all the voters are doing is casting votes that will be used to determine which delegates will go to the party convention. So there’s a very strong argument that there can be no eligibility challenge in a primary in any case. One of the birther lawyers — I think Hatfield – made a motion ahead of the hearing asking the ALJ to rule on which side had the burden of proof… but he did not rule on that motion ahead of the hearing. Obama’s lawyer was taking a risk by not appearing, because the ALJ could have ruled that he had the burden of proof, and the plaintiffs’ lawyers could have been smart and just gone home. The ALJ would then have issued a ruling that Obama had not sustained his burden of proving himself eligible. However, the plaintiffs wanted to put on their case — and in the course of putting on their case, they put on all the evidence Obama would need. They introduced a copy of Obama’s birth certificate; they even introduced the paperwork the Democratic Party had submitted to get Obama’s name on the ballot. So even if the ALJ now decide that the burden of proof was on Obama…. the necessary evidence is still in the record. I’m going to add something on the “do the right thing” issue. You have to remember that there is no way that Obama can actually lose anything, regardless of the outcome of this hearing. Let’s say that the lawyer didn’t show up, and the plaintiffs’ had been smart enough to press for a default instead of putting on their case — so the ALJ then ruled that Obama could not be on the primary ballot. Obama’s lawyer would still have the argument that the challenge doesn’t apply to a primary — he raised that in a motion to dismiss that was denied before the hearing — so they could go to the appellate courts or to federal court to get a ruling and restore Obama to the ballot. But even if that didn’t work out: Obama is the only Democrat running. He’s going to get the nomination. If the Republican Secretary of State kicked Obama off of the Democratic primary ballot, the Democratic National Committee would simply vote to seat the Georgia delegation anyway…. and they would get huge political mileage out of the process. You’d be hearing from now until forever how corrupt the Republicans running the state of Georgia are — they are so corrupt they don’t even allow the Democrats to hold their own primary in the state. Of course the federal courts would make Georgia put Obama on the November ballot – and by the time November rolled around, there would be a very energized and angry Democratic party in the state of Georgia. Unless the Secretary of State is a total idiot, he’s got to have that part figured out — so I think that even if the ALJ managed to buy into birther logic and rule that Obama had not shown eligibility… the SoS would recognize that he was courting huge trouble to knock Obama off the ballot. So you have to look at this in that context: Obama has nothing to lose by boycotting this hearing. If his lawyer had gone, then there would have been a long, contentious hearing with an ALJ who is at best unpredictable and exercises poor control over litigants, with Obama’s lawyer forced to make a choice between constantly objecting, or letting ridiculous stuff get in and then giving it some air of legitimacy because he didn’t object. Given that the long term outcome is certain — Obama will be the Democratic nominee in November, the Democratic Party will seat a delegation from Georgia, no matter how selected — the question is simply which path to that outcome is best politically. Right now, I’d wager that no one outside of the state of Georgia, other than birthers and birther-watchers, even knows that hearing took place yesterday. So politically, its a win for Obama. And given that it is a ballot contest.. the political outcome is all that matters. Expelliarmus: If his lawyer had gone, then there would have been a long, contentious hearing with an ALJ who is at best unpredictable and exercises poor control over litigants, with Obama’s lawyer forced to make a choice between constantly objecting, or letting ridiculous stuff get in and then giving it some air of legitimacy because he didn’t object. Now I’ve watched the proceedings, I totally agree. Before the hearing, I told birthers Jablonski would just submit the COLB and the judge would declare the hearing closed. Now I realize this wouldn’t have happened – given how much time he gave to Orly arguing stuff totally unrelated to eligibility, there wouldn’t have been a short and swift ending. So indeed, it was a good idea not to give that showboating any credibility by letting the birthers see this as some kind of trial with objections and discussions over what’s “admissible evidence”. Expelliarmus: I completely agree. We all need to remember that the hearing and the entire process is really a legal nullity, since the law is clear that Obama will be on the ballot as specified by Georgia law, regardless of what Malihi rules. There may be some political value to both sides-a Republican SoS wanting to placate the birther element in his party without creating too much of a sh$t storm (not an easy task) and Democrats looking to show the Republicans as captives of loons (an easier task). I would also agree that outside of birther circles and here, this whole thing has gotten almost zero attention. Even the wonky poiltical sites-Politico, TPM, the Hill- carried no mention. CNN, which is in Atlanta, nothing. The birthers time came in April and went that same month. Like one of those flies that lives for 24 hours. The Magic M: Now I’ve watched the proceedings, I totally agree. In the legal community generally (outside of this case) there are crackpot lawyers where counsel sees the opponent, shudders, and moves on. (I was a law clerk to a judge for a couple of years). IMO Jablonski’s actions were disrespectful of the system, and frankly, cowardly. There was no reason to believe that Judge Malihi would not sustain objections. He let Orly go on for a time, (which would eliminate any potential, no matter how minute, for opening the record later) because there was no one there to object. Then he shut her off. He has shown that he follows the law by already stating he has no authority over Hawaii. Jablonski took a risk when did not show up, even if the result is in his favor. He still could have filed an amended motion, even if he didn’t show up. As for the plaintiffs presenting evidence, the attorneys (not Orly who likely didn’t think it through) knew that even if Judge Mahili found in their favor, the decision would be appealed and they wanted the chance to make their case. Orly submitting evidence doesn’t affect them at all. One question I have, if SoS Kemp has the COLB already, why would he suggest that it is at the peril of the defense to not appear? That would surely come out. I have an all day class now. I will look for any responses later. charo: IMO Jablonski’s actions were disrespectful of the system, and frankly, cowardly. There was no reason to believe that Judge Malihi would not sustain objections. I know that this is an adversarial system, but why does a judge need an objection from one side to stop a circus in his courtroom? Why did Malihi allow Orly to swear herself in and testify? Does it really require an objection for him to say, “Right, this is silly” (quoting Monty Python). charo: One question I have, if SoS Kemp has the COLB already, why would he suggest that it is at the peril of the defense to not appear? It’s likely he didn’t have it when he wrote the letter. The plaintiffs were kind enough to introduce it into evidence, so it is of record now. It is possible that the defendants might provide him a paper copy (or not). As for “peril” that is a stretch. Georgia law does not give the SoS the authority to keep someone designated by their party off the ballot. Yeah, I keep hearing a lot of speculation on that…to the point that some folks are claiming it as fact that such has happened. Scientist: It is possible that the defendants might provide him a paper copy (or not). Thank you very much for your explanation…. that helps quite a bit … at least in terms of understanding the dynamics. It also confirms why the short term of what is going on with this specific judge & the SoS is a little bit more uncertain – the rules are there to make even this matter a no brainer, but there remains a small window where they could decide to shift the burden and be dickish about it. I think we all agree at that in the very long term, the law is all on Obama’s side. Intentionally playing that type of political game of brinksmanship is ALWAYS playing with fire. Any time you unnecessarily extend a fight longer than needed, just for the sake of having a fight, it is NOT a good thing. What can be used to “fire up” one side, often just “fires up” the other side as well. Plus, folks in the middle or who just want things done (like me), get even more irritated and disgusted with both sides, because they see time and money being wasted picking fights that didn’t need to happen at all. A pox on both their houses if it goes down that road. Expelliarmus: But even if that didn’t work out: Obama is the only Democrat running. He’s going to get the nomination. If the Republican Secretary of State kicked Obama off of the Democratic primary ballot, the Democratic National Committee would simply vote to seat the Georgia delegation anyway…. and they would get huge political mileage out of the process. You’d be hearing from now until forever how corrupt the Republicans running the state of Georgia are — they are so corrupt they don’t even allow the Democrats to hold their own primary in the state. Of course the federal courts would make Georgia put Obama on the November ballot – and by the time November rolled around, there would be a very energized and angry Democratic party in the state of Georgia. BOOM! Excellent find! Thanks for posting that here! LOL! Thanks, richCares! I do wish Jablonski had gone the same route instead of tapping the judge. Since this would have been an awesome chance for Arpaio to pimp his smoking hot report, this further confirms (to me at least) the imaginary nature of his efforts. Dude is caught between his legal troubles, the Tea Party, and the Birthers. JPotter: LOL! Thanks, richCares! I do wish Jablonski had gone the same route instead of tapping the judge. I thought that when that motion to quash is filed, all parties in the case are required to receive a copy. Isn’t that essentially notice? G: Intentionally playing that type of political game of brinksmanship is ALWAYS playing with fire. Any time you unnecessarily extend a fight longer than needed, just for the sake of having a fight, it is NOT a good thing. What can be used to “fire up” one side, often just “fires up” the other side as well. G-It really depends on whether the Georgia SoS is an honest man interested in a fair process or a birther or using the birthers for political reasons. Jablonski is an elections lawyer in Georgia and probably knows which it is better than any of us. My opinion is that if you have good reason to believe a game is fixed from the start, you shouldn’t play. I understand what you are saying. All of this is of course speculation, until we see the SoS make any ruling whatsoever. However, my only point is there is very little reason not to submit anything in defense by Feb 1st. Whether it is a game or not, by not providing any defense at all, you just play into the other side’s argument, if there is any game at foot, by giving them an extra excuse, when there should have been none if the first place. Scientist: My opinion is that if you have good reason to believe a game is fixed from the start, you shouldn’t play. And I understand what you are saying. But there is a fundamental issue here-fairness. If the law in Georgia requires candidates to supply the SoS with a birth certificate, then Obama should absolutely do so. But so should, Mitt, Newt, et al. If the law does not require it then to ask one person to do it is wrong. Surely all can understand that? I admit it. I got it all wrong. Jablonski was totally correct in not turning up. I watched the hearing and I have no doubt what the outcome will be. Imagine the surprise that awaits the birthers when they find out that they couldn’t score in a game where the opposition did not even turn up. Scientist: And I understand what you are saying.But there is a fundamental issue here-fairness.If the law in Georgia requires candidates to supply the SoS with a birth certificate, then Obama should absolutely do so.But so should, Mitt, Newt, et al.If the law does not require it then to ask one person to do it is wrong.Surely all can understand that? 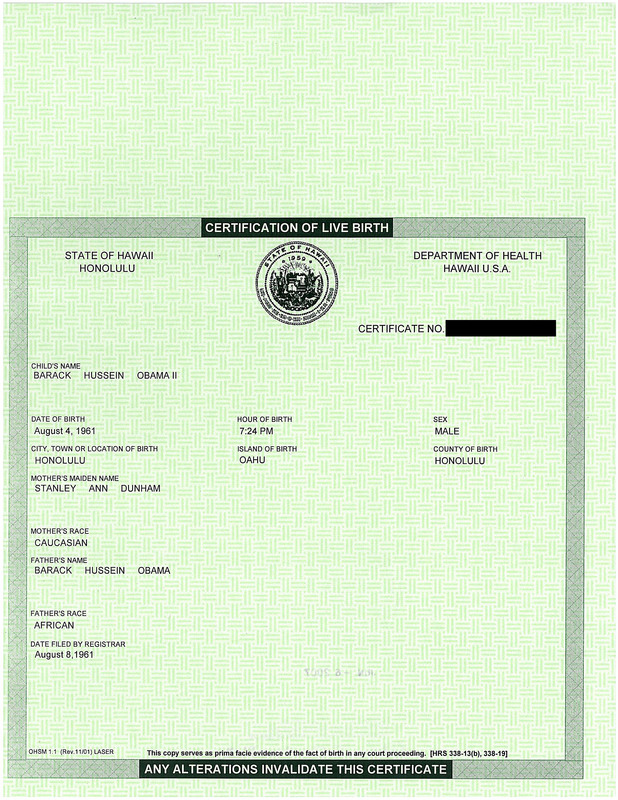 I remember way back when the birther bills were circulating around various states. There were some that required a “long form”. Many birthers were saying that there was no fundamental right for anyone to be placed on a ballot. I guess so, but that would mean disenfranchising many people of the possibility of appearing on a ballot simply due to the form of birth certificate that their states printed. Some of them might have been people they agreed with. Georgia’s was the most specific. It mandated that a “primary document” could only be a “long form” with live signatures of the attending physician and both parents, along with the address of both parents listed. That ruled out the majority of states since the 1960s. You could have a midwife birth, most birth certificates don’t list any parental addresses, and most states that did only listed the mother’s address. Then there are cases where the original is sealed and only an abstract is available in its place. Not to mention electronic birth registrations. It was pretty clear that a lot of those bills were targeted straight at Obama, without much thought as to how it might affect other candidates. I also remember one that required the birth certificate of both parents, and specified that both parents must be born in the US. Essentially that was legislating the meaning of “natural born citizen”. I’m not sure exactly how some states might handle it if such forms are needed for someone running for office. It would have to be something that would be handled at an jursidictional level. Hawaii doesn’t release the “long form” by policy, but I’d think they’d make an exception for someone running for office. Other states and local jurisdictions give an option to order a “vault copy” if there is one, but this can mean having to order in person and/or waiting several weeks compared to same-day for many places. The daughter of a birther lives next door with her grandparents, she was called by the birther father to restart their relationship, to end the estrangement. The father told her that they finally got Obama, a court ruled in favor of the birther position, It won’t be long till Obama’s gone, “…this Georgia case is vindication for all I fought for” he said. “Not for me the” daughter said. Now that is really sad, when Obama is put on the ballot will this idiot become violent, or just have a breakdown. Of course. I certainly agree that the same standard needs to apply to all. Scientist: And I understand what you are saying. But there is a fundamental issue here-fairness. If the law in Georgia requires candidates to supply the SoS with a birth certificate, then Obama should absolutely do so. But so should, Mitt, Newt, et al. If the law does not require it then to ask one person to do it is wrong. Surely all can understand that? Wow, if only Orly had talked to Joe before she spent all that time and effort in Georgia last week. richCares: “Imagine the surprise that awaits the birthers ”The daughter of a birther lives next door with her grandparents, she was called by the birther father to restart their relationship, to end the estrangement. The father told her that they finally got Obama, a court ruled in favor of the birther position, It won’t be long till Obama’s gone, “…this Georgia case is vindication for all I fought for” he said. “Not for me the” daughter said..Now that is really sad, when Obama is put on the ballot will this idiot become violent, or just have a breakdown. I meant Hawai’i. Orly spent time and effort in Hawai’i. Was it just last week? I don’t think I’m awake yet. y_p_w: I thought that when that motion to quash is filed, all parties in the case are required to receive a copy.Isn’t that essentially notice? Sorry, YPW; yes, the motion to quash was cc’d all around. What I meant above was that I wish Jablonski had written a “get lost” letter to Orly, as Arpaio did, instead of bothering the judge with a motion. A motion that subsequently got the birther’s hopes up. Reportless Arpaio has been playing all sides. He’ll be attracting all kinds of birther scorn come March 1. Even Corsi will turn on him and burn him down. That, or start in with the excuses for delay, or, the most typical, never mention it again and pretend it went down the memory hole. the Donald Ploy don’t cha know! ……I also remember one that required the birth certificate of both parents, and specified that both parents must be born in the US. Are you sure? I could well be completely wrong but I don’t remember any proposed birther bill actually saying that both parents must have been born in USA. I don’t even remember any of those bills even specifying the slightly less strict condition that both parents must have been US citizens at the time of birth. Mike Dunford from Hawaii deserves credit for obtaining a copy of Taitz’s final and futile motion in Taitz v Fuddy where she lies about having obtained a commission from the Georgia courts for her subpoena. This appears to cross the line of giving a false statement under penalty of perjury. As shown in the link she applied to Malihi and he denied it. Judge Mental: Are you sure? I could well be completely wrong but I don’t remember any proposed birther bill actually saying that both parents must have been born in USA. I don’t even remember any of those bills even specifying the slightly less strict condition that both parents must have been US citizens at the time of birth. I looked it up, and Nebraska’s birther bill (LB624) mandated both parents’ birth certificates (showing a US birth) be filed with the state, although it might not have required both parents to be born in the US. It actually allowed for a Certificate of Naturalization to be filed that showed one or both parents were US citizens at the time of birth. However, the bill wanted the original documents submitted in the 4-6 categories to be kept and part of the public record. The feds would have shot this down so fast. First thing is that the Feds don’t issue more than one Certificate of Naturalization. One can get a replacement if the original is lost of stolen, but the Feds aren’t going to be terribly happy that any government agency is insisting on keeping such a document. The State Dept returns all materials with passport applications. The bill also doesn’t account for a Consular Report of Birth Abroad or any of the previous similar documents. Also at the time this bill was written, the State Dept didn’t issue more than one Consular Report of Birth Abroad at a time. They do now. Basically it tells me what I knew. Man of these bills are sloppy in that whoever writes them doesn’t bother to do any basic research. By the way, I suppose McCain could get a copy of his birth certificate. The State Dept has directly issued Panama Canal Zone birth certificates from the passports division since 1999. It’s $50 a copy though.